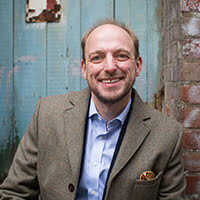 Lloyd Clark is Professorial Research Fellow in the Humanities Research Institute and Course Director of the University’s MA in Modern War Studies and Contemporary Military History programme based in London. 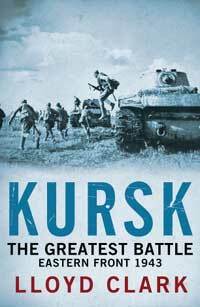 He is also a senior academic in the Department of War Studies, The Royal Military Academy Sandhurst, a Fellow of the Royal Historical Society, a member of the British Commission for Military History and historian to the Airborne Assault Normandy Trust. Educated in the departments of history and war studies at King’s College, University of London, Professor Clark is a specialist in the First and Second World Wars with a particular interest in airborne and amphibious warfare; operational fighting methods; command and leadership; the development of doctrine and military lesson learning. 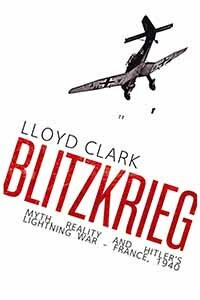 Professor Clark’s publications include: A History of the First World War (Hutchinson, 2002); The Orne Bridgehead (Sutton, 2004); Operation Epsom (Sutton, 2004); Operation Market Garden – September 1944 (Sutton, 2004); Anzio – The Friction of War – Italy and the Battle for Rome 1944 (UK: Headline, 2006; US: Grove Atlantic, 2006); Arnhem – Jumping the Rhine 1944-45 (UK: Headline, 2008; US: Grove Atlantic, 2008) and Kursk – The Greatest Battle – Eastern Front 1943 (UK: Headline, 2011; US: Grove Atlantic, 2011); Blitzkrieg: Myth, Reality, and Hitler’s Lightning War: France 1940 (UK: Atlantic, 2016; US: Grove Atlantic, 2016). He is currently working on a major new book about the Battle of the Bulge. Professor Clark lectures on all aspects of military history all over the world and is a frequent guide to battlefields on four continents. He has also worked extensively on television and radio as both historical adviser and interviewee. Professor Clark supervises doctoral research on 20th and 21st century war studies and military history.